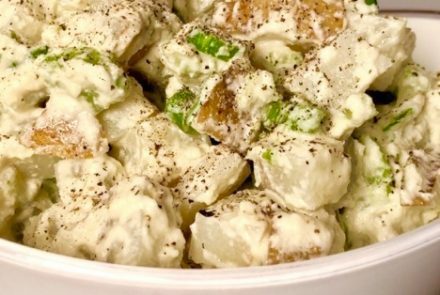 This potato salad recipe is made with a cashew based dressing which is both plant-based and gluten-free making it a great addition for a summer BBQ. 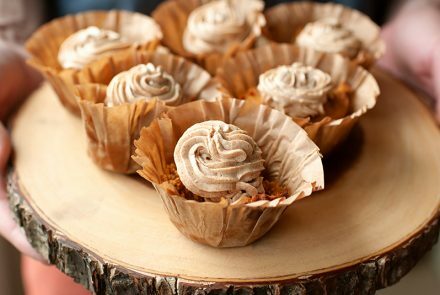 Healthy enough to serve as a breakfast muffin or a dinner side, but delicious enough to be dessert, these muffins are full of vegetables and spice. You need only one mixing bowl to make this banana bread. For a twist, or if you follow a dairy-free diet, use melted coconut oil. 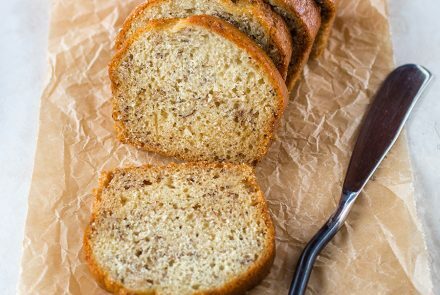 The faint taste of coconut enhances the banana flavor, making a bread that everyone loves. Most common condiments (including everyone’s favorite, ketchup!) are not considered Paleo. They normally contain sugar, corn syrup, and other processed flavors and thickening ingredients. This Honey Ketchup recipe is absolutely delicious as a condiment or in your favorite recipes. 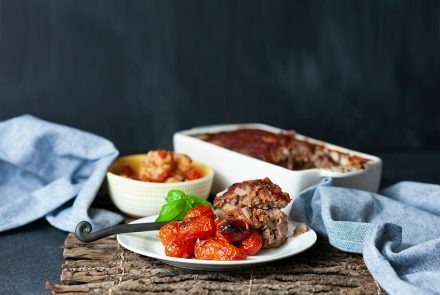 Cherry tomatoes are sweet and packed with flavor. This recipe helps them shine with a simple roast to help them get even sweeter. 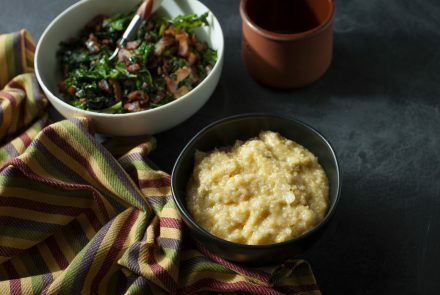 This is a great light side dish for a hearty dish. Cashew cream can be used to replace heavy or light cream in most recipes. It can be used chilled, and will work well when heated. Making homemade croutons, seasoned to your liking, can add extra texture, interest, and flavor to soups, salads, and stuffing. They are easy to prepare and freeze well for at-the-ready access whenever the need calls. 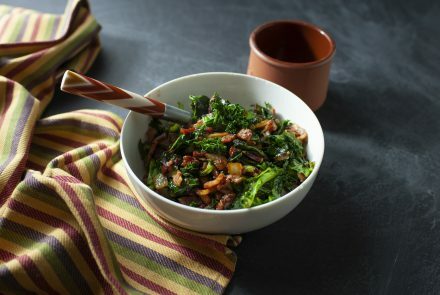 Nothing could make kale more delicious than bacon and onion. This dish is a little spicy and bursting with flavor and color. 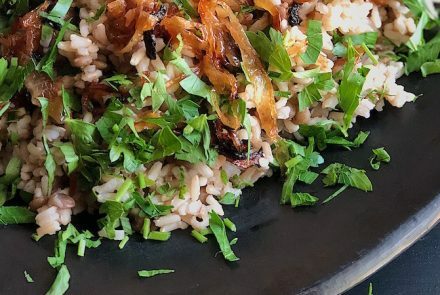 Mujaddara is a staple for many Middle Eastern countries, and there are many adaptations to this simple—but never basic—dish!